A woman presents to University of Maryland Medical System's Transplant Center in Baltimore, Maryland for a kidney transplant. She consents to surgery on the condition that she will be given a healthy donor kidney. Without explaining to the woman the proposed treatment or its risks, UMMS places a deficient kidney in the woman. Underscoring the fact that this kidney is not suitable for transplant, death is found in 90% of the kidney's cortex in a biopsy performed by UMMS two weeks after the surgery. UMMS does not share this information with the patient. For more than 9 months after the surgery, the woman has to endure the ill effects of suppressants and drugs to ensure that her body does not attack the useless kidney that UMMS placed in her body. UMMS continues to hide the fact that the kidney is useless. Wanting to know why she feels worse after the surgery than before, the woman and her husband look for the answers. UMMS refuses to give them. 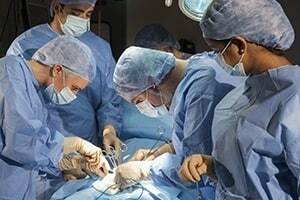 They learn that the woman's new kidney was rejected by Johns Hopkins University and that all the medical professionals who had previously handled the kidney had deemed it damaged beyond salvage. UMMS promises to provide the woman with a working kidney within 6 to 8 months, which it fails to make good on. The woman and her husband, residents of Prince George's County, filed multiple claims in Prince George's County against UMMS. It is alleged that (1) the woman lacked informed consent when UMMS failed to explain the proposed treatment, warn her of its material risks, and advise her of its alternatives, (2) UMMS acted negligently when it knowingly implanted a deficient kidney into the woman, (3) UMMS committed battery against the woman by intentionally implanting a deficient kidney without her consent, (4) UMMS acted fraudulently when it represented that it would implant a suitable kidney, (5) UMMS violated its fiduciary duty to the woman when it induced her into an unnecessary and dangerous surgery, and (6) the woman and her husband have suffered loss of consortium as a result of the acts and omissions of UMMS. The husband of the victim has been a licensed clergyman. The plaintiff's lawyer plays this up in the Complaint. Plaintiffs will make a big point of this at trial. Plaintiffs picked a transplant nurse practitioner to sign the Certificate of Merit that renders opinions or causation and negligence. She looks very qualified to speak to these issues. Still, the Maryland courts have never fully explained what opinions a nurse can give on causation. You may see UMMS challenge this Certificate on that basis. It is difficult to sue UMMS in Prince George's County. But if the court orders a transfer to Baltimore, the Plaintiffs are still in a very good venue. If you have been harmed or if you have lost someone you love as the result of a medical error by a doctor or hospital, we can help you. Call us today to talk to a lawyer about your claim at 800-553-8082. You can also get a free, no obligation online case review. We will talk about your claim and whether you have options to seek compensation for the harm that has been done. What is the value of a medical negligence claims in Maryland?